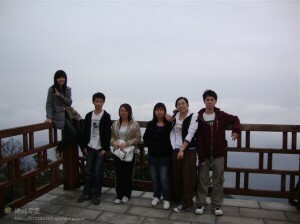 I have met some nice people since I came to the US 2 years ago, but I still miss these friends in China. By Jian Di Liang, Oakland Voices 2012. Moving to a new place in order to have a better life – that was what my family expected before we left China and came to the US. On September 25, 2010 – the day which we separated from my grandmas, sisters, aunts, other relatives, friends and neighbors – my mom cried continuously until her eyes were swollen. I will never forget the first flight in my life. I was a teenager and it was the first time I was ever on an airplane. They served me cheesecake and I still smile when I think about how incredible it tasted. Just like ice cream. Waking up in the middle of the night and feeling sleepy, tens of thousands of feet up over the Pacific Ocean, I opened the window and was surprised by how beautiful the sky was. I was both excited and tired when we arrived in the United States. Because of the time difference, I slept day and night for the first week after we settled at my aunt’s house here in Oakland. Our cousins took some time to show us around. We went to the usual tourist attractions in San Francisco – The Golden Gate Bridge and Fisherman’s Wharf. Eventually, we had to venture out and fend for ourselves. Everything was so new. Even learning new routines like getting around on the buses were tricky but exciting. One of the toughest things for all of us was using the English we’d learned but never really spoke in China. It was time to put all of that studying to the test. We felt like babies, really, as we learned the way people speak and how Americans use vocabulary. I used to feel frustrated because I could not express what was on mind. Sometimes body language could help make people understand, but that made me feel helpless. For my whole first month in the US, I just stayed at home because I was afraid to talk in English. Like most parents in the world, my mother and father devote themselves to providing better chances to their children. I cannot bear when I see people making fun of them because they cannot speak English. But since we have been in the US, I have heard and seen this a lot. It breaks my heart. When we first came, the exchange rate between the US Dollar and China’s Yuan was about 1:6.67, so our money from home was worth less in America, and things were really expensive for us here. Our activities were limited by the cost always. I tried to do many different new things, such as working part-time jobs and doing internships. Everything was fresh and interesting. However, I also felt insecure because the economy did not become any better. What made me even more nervous was that crimes happen often in America. It is legal for people to use guns and that makes a big difference. It has been getting hard for me to trust people even though my personality was the opposite. Maybe this is because I am becoming more like an American – more suspicious of others. When I first realized that strangers’ greetings only stay on the surface, I knew that it would be harder for me to make friends in the United States. I have also had some bad experiences that have made me less trusting and more cautious. When I once insisted stubbornly there should be no racial discrimination, I was mocked by people of different races for no reason. Then, I was robbed by a black person at Fruitvale Bart station one night after school. Since then, I find that I have a hard time trusting black people whom I don’t know. Maybe this isn’t right, but this is the way I feel now – a bit crushed. I used to believe that if I did not do something harmful to other people, they would not do any harmful things to me, either. So I treat every stranger in my life with basic respect. I believe that all human beings were born good people. But no matter what the reason was for that person to rob me, it was not forgivable. His behavior broke the law, and shattered the peace in my head. The wound will always be there. The experience also hurt me because I know that most people work hard for the things they have. So if others want those things, they should also do what it takes to earn them, instead of stealing from people. Something else that broke my sense of peace in the US what when my sister went through a big car accident. She did not take any pictures as evidence, so the other party lied and said it was her fault. And when I felt like knowing people from the same country as me would be a wonderful thing, I was cheated by an old Chinese man who asked me for help on the street. Of course, I cannot make my judgements only based on a few personal experiences. But overall, I am changed. 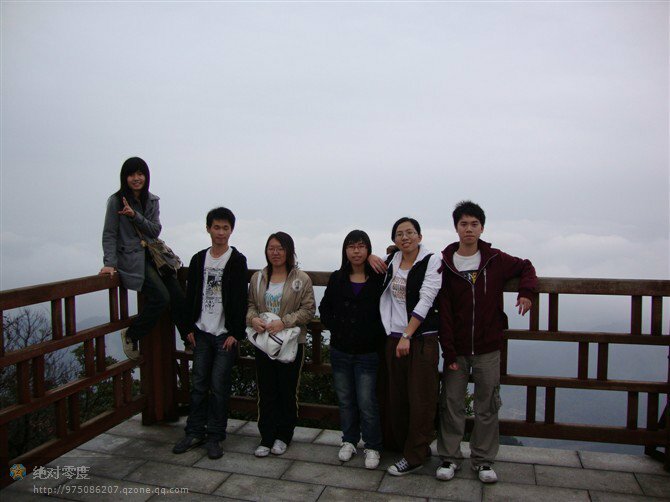 When I was in China, I never felt lonely because my friends were always with me and gave me the support I needed. But in the US, people are always busy with school, work or their own families. I have met a few friends, but many of us meet each other only rarely. Sometimes just once every several months. All the difficult things I’ve learned about race in America and the trying times we’ve had here in the last couple of years – it has all closed me down a little bit inside. As life has gotten more harsh, my thoughts have been increasingly occupied by fear. And that makes it harder to live. Here is my hope: I have seen a quote, “Life always brings us wounds all over the body. But the wounds will certainly become the greatest strength finally.” The more challenges I take, the stronger I feel. Besides adapting myself to this new environment, to American culture and the people here, what could make life better? I enjoyed the article very much Charlotte Jd L. Spending time in Asia has shown me how people here are not as bogged down by school, work and personal ambition. Family and friends come first. While I miss California, there are days when I am tempted to never come back, as much as I hate to love the US, I love it too. The US can be a cold place, conversation and discussion from your article, I think is one step towards bringing a conscious recognition of what can be. This is a interesting read. Thank you for sharing your story. I’m sorry you had to experience those negative things. There are always lessons to be learned through the bad things that happen in life. Sadly, in oakland you do have to be precautious. You are very strong & bold to move to a new country & face the challenges that comes with it. Your personal account is moving. I hope the importance of your story is not overlooked, because it is the result of the way we all act toward each other. And you are right – the challenges we face in life make us stronger, and make us who we are. Keep it up. This is a wonderful expression of you experience. It is very honest and is a window into what many go through in this country. Thank you for sharing!! The new life in US for you is very wonderful ,and you also enjoy the new life .Because you have new friends ,new hobbies,new lifestyle.I really know you miss your family & friends so much who still stay in China . You should believe that all the people are have a happy life in China ,you can just enjoy the new life in US & meet more new friends .Finally ,i hope you have a happy life in the future.